I’m not entirely sure I can blame this mental lapse on jet lag and the sinus infection I was nursing last week, but I’ll try anyway. 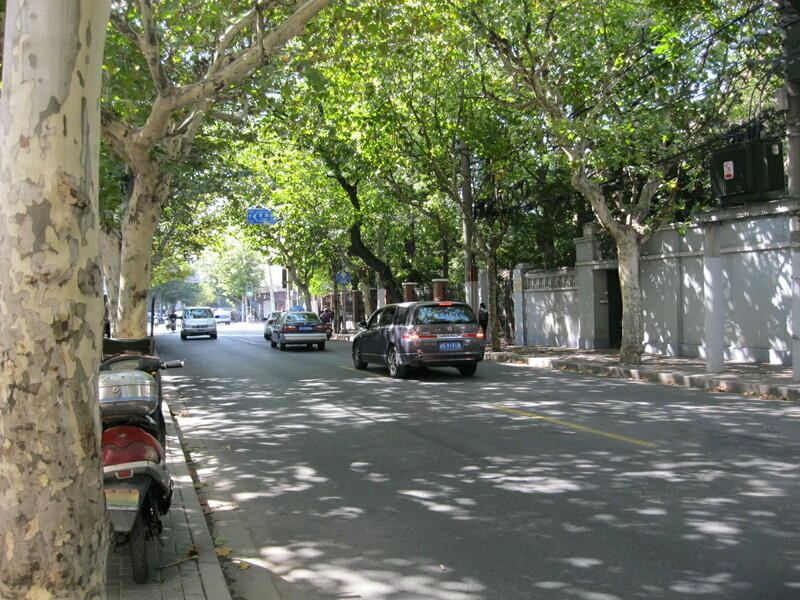 The street I live on here is called Changle Lu. I’ve been saying the name for days, without giving a whole lot of thought to the meaning behind those words. But if I’d considered it for a moment, I would have loosely translated it as “Long Happiness Street.” Chang 长 = long. Le 乐 = happiness. Lu 路 = street. Long Happiness Street. 长乐路. Changle Lu. It wasn’t until I was part of a group having coffee at Baker and Spice on Saturday afternoon that I realized I had been subconsciously mistranslating the name. This group included Rob Schmitz, the Marketplace correspondent in Shanghai, who has been doing a great series recently on “The Street of Eternal Happiness.” Otherwise known as Changle Lu. Duh. I live on the Street of Eternal Happiness. I’ve listened to—and very much enjoyed—Rob’s reports over the past several months. If you haven’t yet heard Rob’s series on the street, check it out here.The stories are all great, though I think the motorcycle gang one is my favorite. Maybe I’ll join them at Coffee Bean & Tea Leaf one Friday night, now that I’m also an official resident of the Street of Eternal Happiness—even if I didn’t realize it immediately. Next Next post: I Think I Need a … Guidebook? And that’s just what we wish for you – You’ve come to the right place! I sense eternal property values are going to go down since the red head has moved in. I suppose about 3% off of infinity.